WASHINGTON, D.C. – (RealEstateRama) — The Orlando Regional REALTOR® Association is proud to announce that ORRA member Robin Webb, NAI Realvest, has been announced as incoming president of the CCIM Institute. 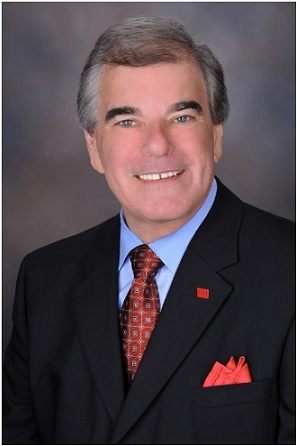 Webb has a wide range of involvement with the CCIM Institute, having serving as treasurer, Florida CCIM Chapter president, regional vice president, presidential liaison. Webb has also had extensive involvement with the CCIM Foundation and most recently served as 2014 president. •	Treasurer: Lou Nimkoff, Brio Real Estate Services LLC. Moreira is a past president of ORRA, while Nimkoff is ORRA’s current treasurer in addition to its 2017 president-elect. He will automatically ascend to the president’s position in 2018. On the state level, ORRA member Chere Roane, Nicole-Hudson Realty Corp, currently serves as 2016 president of the CCIM Florida Chapter. CCIM Institute is one of the largest commercial real estate networks in the world with chapters in more than 30 global markets. It confers the Certified Commercial Investment Member designation, commercial real estate’s global standard for professional achievement.